The Academy Awards are this Sunday evening, broadcast in the US by ABC. 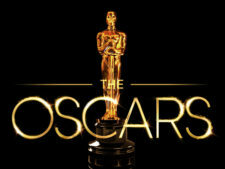 LemonWade’s Oscars expert, Rex Okpodu, has looked into his crystal ball and come up with these predictions. Three Billboards Outside Ebbing, Missouri (3BB) is still the current frontrunner for best picture having won The Globe, SAG Ensemble, and BAFTA top prizes. Shape of Water (Shape) is its closest competition with the almost certain director’s win for Guillermo Del Toro. The only snag is a lack of director’s nomination for 3BB’s helmer, Martin McDonagh. However, Argo (2012) and Driving Miss Daisy (1990) both won without a corresponding nomination for their respective directors. For its part, Shape’s precursors are the PGA and DGA but it is missing the actors’ support in the form of a nomination for acting ensemble at SAG. Many of us in the internet bubble are theoretically arguing that Get Out, Ladybird and even Dunkirk have a chance to win Best Picture because of the preferential ballot. This can sometimes produce results such as last year’s win for Moonlight over La La Land. That said, it’s safer to predict 3BB for best picture and Shape for best director. The chatter this week is that the phenomenal success of Black Panther, which is heading towards $500m during the close of Oscar voting week, helps Get Out overcome arguably the zeitgeist film of the year: 3BB. The acting categories look set in stone with the four frontrunners: Gary Oldman, Frances McDormand, Sam Rockwell, and Allison Janney. Each swept their respective categories at the Critics Choice, Golden Globes, SAG and BAFTA in an unprecedented run. Again, the blogosphere is hoping for an upset but we at LW think these four can have their Oscar speeches ready. The Oscars rarely match every precursor in a given year so Allison Janney (I Tonya) might lose to Laurie Metcalf (Ladybird) especially if the latter film is not going to win any other Oscar. Adapted is easy to predict because James Ivory is almost certain to win the Oscar for Call Me By Your Name. It is in the original screenplay category that there might be an upset. Get Out won the WGA, where best picture frontrunner 3BB was ineligible. An argument can be made for 3BB winning this because at the only precursor where actors also voted for screenplay – BAFTA — 3BB won. 3BB could take original screenplay if it also takes supporting actor and lead actress.